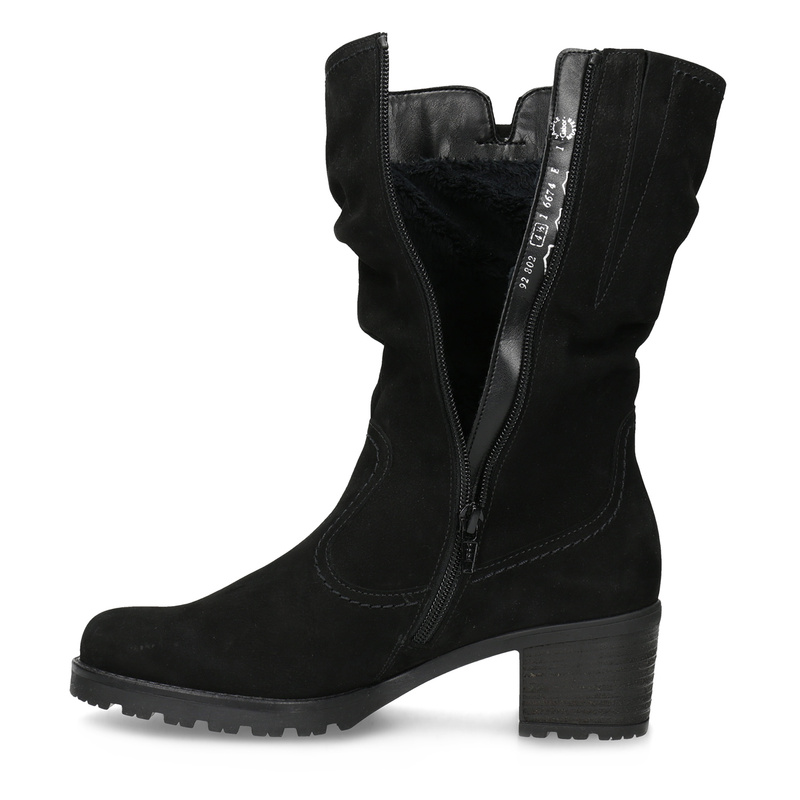 These black Gabor ladies’ high boots feature a timeless cut, and the nubuck upper is decorated with bold stitching. They are secured with the help of a convenient long zip, and the mid-height heel is figure-flattering yet also offers stability. 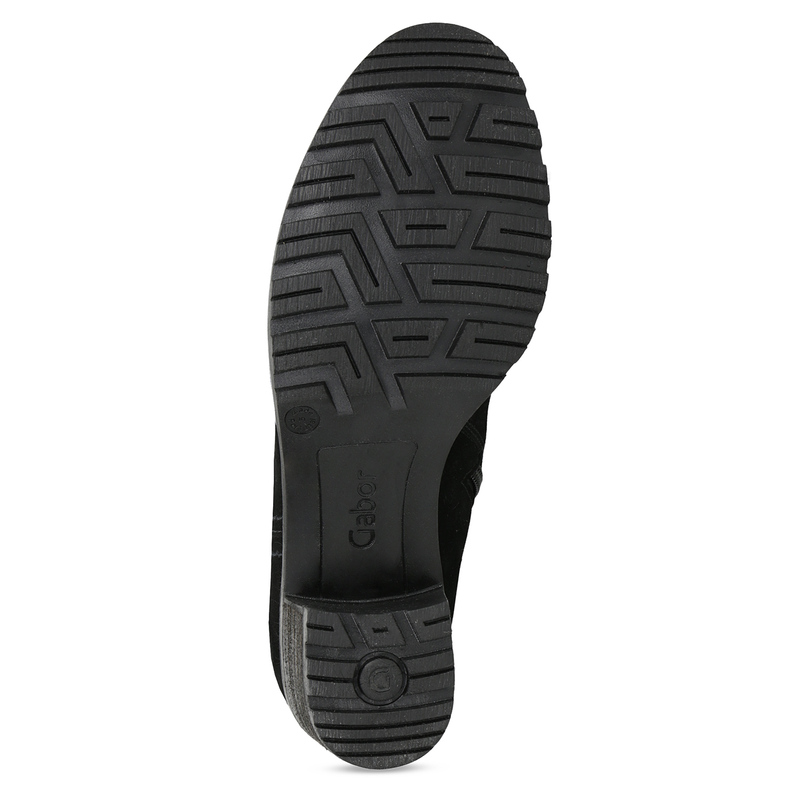 Universal footwear you can pair with trousers or a skirt.